World DanceSport Federation (WDSF) President Shawn Tay met with Ser Miang Ng, Executive Board Member of the International Olympic Committee (IOC), on 18 April in Singapore to discuss a range of topics related to WDSF’s role as a valued member of the Olympic Movement. President Tay said he was delighted to meet with Mr. Ng, and the two had very positive and productive discussions. During the meeting, the pair discussed a number of wide-ranging issues, including: the governance, roles and responsibilities of the WDSF as an IOC Internationally Recognised Sports Federation; the possible inclusion of the dance sport discipline Breaking in the Summer Olympic Games Paris 2024 and the development of the WDSF’s other disciplines. 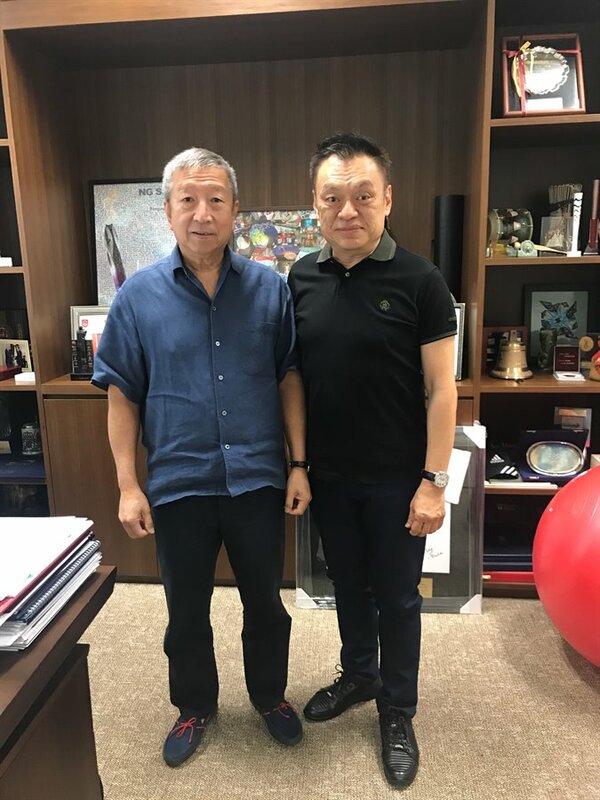 President Tay said he valued the input from the long-time Olympic and sports administrator and added that he looked forward to continued dialogue with Mr. Ng in the months ahead. The IOC Executive Board on 27 March approved a proposal by the organisers of the Olympic Games Paris 2024 to include Breaking (in addition to Skateboarding, Sport Climbing and Surfing) on the sports programme for their edition of the Games. The full IOC Session will vote on the proposal at its next meeting in Lausanne, Switzerland from 24-26 June, with a final decision set for December 2020 following the Olympic Games Tokyo 2020. Today is the International Day of Sport for Development and Peace (IDSDP), an annual celebration of the power of sport to drive social change, improve community development and promote peace and understanding. As a member of the Olympic Movement, the World DanceSport Federation (WDSF) is celebrating IDSDP by recognizing all the dancers, coaches and mentors who through DanceSport are building bridges between peoples, empowering communities, and fostering societal and individual change. 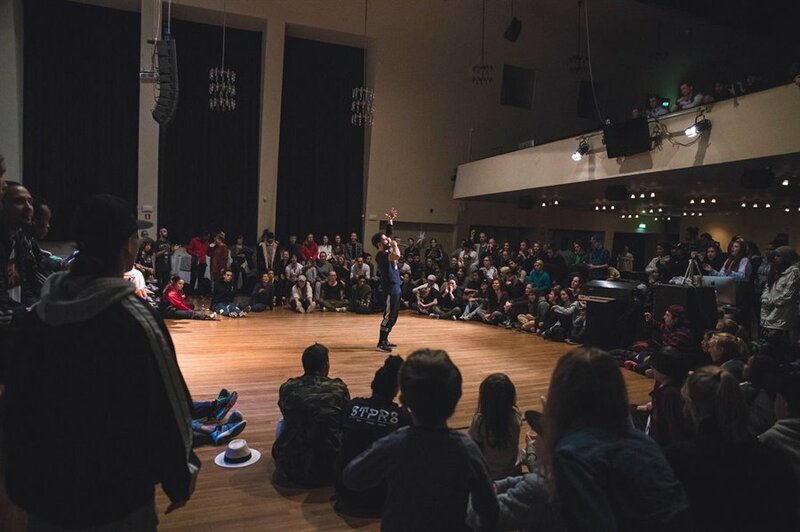 One person who epitomizes all this and more is Navid Rezvani, also known as B-boy Spaghetti, who has spent most of his life learning from and giving back to Breaking and the Hip Hop community around the world. An Iranian-born Norwegian citizen, Rezvani wears many hats. Depending on the day, he can be described as a dancer, an artist, a motivational speaker, a teacher, a documentary maker, a Hip Hop MC, an ambassador, or all of the above. But one thing is certain: sport has always played a central role in his life. Rezvani first took to the martial art of Taekwondo, inspired as he was by Bruce Lee and Spiderman. But after moving to Oslo and getting his first taste of Breaking at a youth centre called Xray, he immediately knew he had found his calling. Now 36 years old, B-boy Spaghetti has pretty much done it all, including becoming the first B-boy to receive a three-year scholarship from the Norwegian Art Council, an achievement he is understandably proud of, as it gives him yet another platform on which to promote the artistic, cultural and athletic elements of Hip Hop and Breaking. 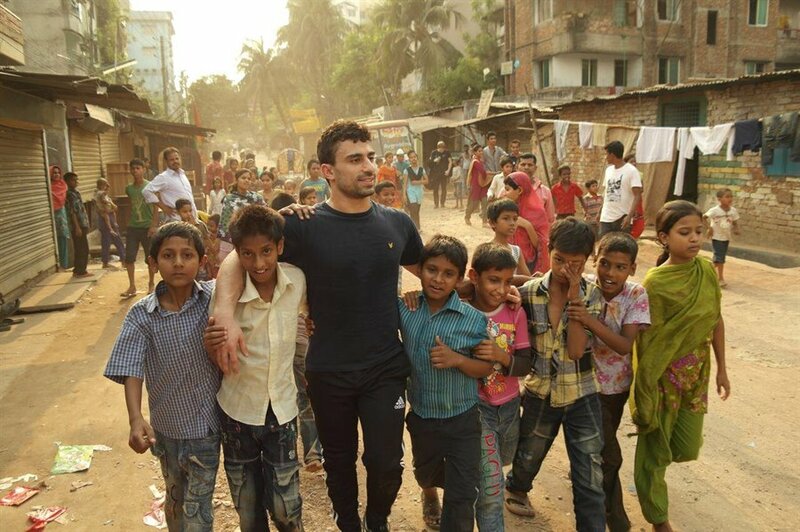 Knowing how fortunate he has been to find strength through sport and the arts, he now spends a great deal of his time giving back to others, be they elite-level athletes in Norway or disadvantaged youth in India, Palestine and Bangladesh. Rezvani’s teachings are universal and find receptive audiences around the globe. He says he was first inspired to pass on what he has been given through art and sport during the International Baccalaureate program in high school when he discovered the American slave-era adage of “Each One, Teach One,” a philosophy also used by Nelson Mandela and fused into Hip Hop culture from the very beginning. This was evident at the Youth Olympic Games in Buenos Aires last October, where, despite being extremely busy as judges, Athlete Role Models and spokespeople, B-girl AT and B-boys Moy and Mounir took the time to hold a free, five-hour Breaking workshop in a community centre in the Argentinian capital. It was one of the highlights of Breaking’s extremely successful Olympic debut, and something the 240 local young people who attended will not soon forget. One of the most powerful messages B-boy Spaghetti has for young people is that to become the best version of yourself, you must be true to who you really are. IOC President Bach was complementary of Breaking both at last year’s Youth Olympic Games in Buenos Aires and again following a recent IOC Executive Board decision to approve Breaking, along with with skateboarding, surfing and sport climbing, for possible inclusion on the sport programme for the Olympic Games Paris 2024. The next Olympic test for Breaking will be a vote by the full IOC Session during its next meeting in Lausanne, Switzerland from 24-26 June. 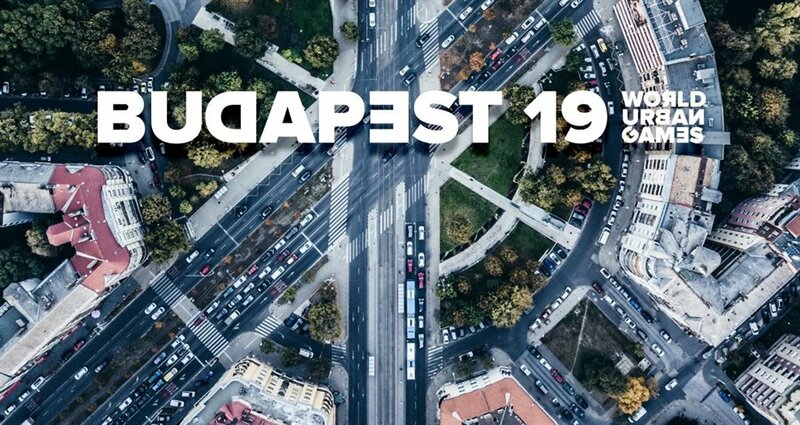 Should Breaking receive provisional approval by the Session, a final vote on its inclusion at Paris 2024 will come in December 2020 following the Olympic Games Tokyo 2020. Rezvani says he would welcome the opportunity for Breaking to be given the green light for Paris 2024, as it would give B-boys and B-girls a chance to learn from athletes of other sports and vice versa, which is one of the most important lessons he himself has taken away from his time as ambassador for the Performance Culture Program at Olympiatoppen, Norway’s top Olympic centre. “I have seen how important diversity and inclusion are for culture and sports,” he says. “I am often reminded of how much we as B-boys and B-girls have to learn from the sports world, including all the detailed technical training Olympic athletes do to get the best results, their focus on healthy diets, injury-prevention knowledge, post-injury and rehab exercises, and their discipline in prioritizing. To find out more about B-boy Spaghetti, check out his profiles on Facebook and Instagram, or click here to go to his website. Learn more about the International Day of Sport for Development and Peace here. The World DanceSport Federation (WDSF) welcomes the decision today by the Executive Board of the International Olympic Committee (IOC) to move forward with a proposal by the organisers of the Olympic Games Paris 2024 to include Breaking on the sports programme for their edition of the Olympiad. The IOC President, an Olympic gold medallist in fencing, added that he admires how Breaking perfectly combines the sports aesthetic with personal expression. Breaking joins Skateboarding, Sport Climbing and Surfing as the four shortlisted sports for possible inclusion at the XXXIII Olympiad. The package of sports will now be submitted to the IOC Session for provisional approval during meetings in Lausanne, Switzerland from 24-26 June. 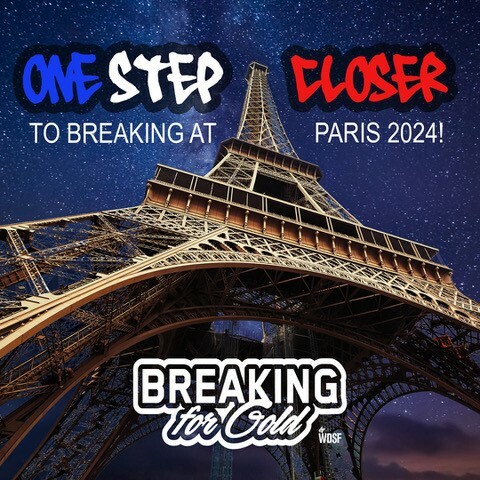 It was announced today that the final decision on Breaking’s inclusion at Paris 2024 will only be taken after the Tokyo 2020 Olympic Games, in December 2020. In the meantime, the IOC will have a monitoring programme in place that will look at the performance, management, governance and integrity of each of the four sports. The Paris 2024 organisers proposed the four sports in response to a new level of flexibility afforded to Olympic Games Host Cities to encourage innovation in the Olympic programme. Host Cities, beginning with Tokyo 2020, now have the option of suggesting new sports and events for inclusion in their edition of the Games that are not binding on future Games hosts. Skateboarding, Sport Climbing and Surfing were also included on the programme for Tokyo 2020, making Breaking the only new sport under consideration for the 2024 programme. Given the outstanding success of Breaking at last year’s Youth Olympic Games in Buenos Aires, the WDSF remains convinced that the discipline can add significant value at low cost to the Summer Olympics and the Olympic Movement as a whole. 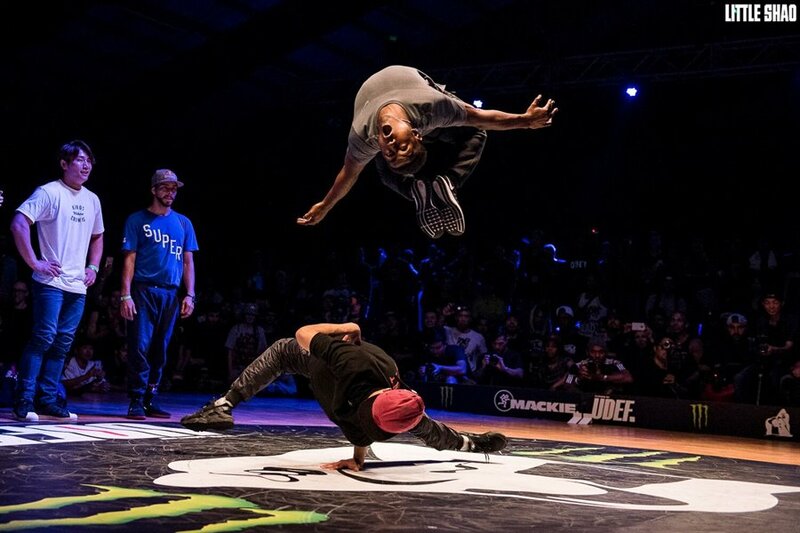 While its origins are in the United States, today’s elite-level b-boys and b-girls come from all corners of the globe. Breaking is very popular in France, with an estimated 1 million people practicing the sport and 350 registered clubs. The country hosts 560 national and 11 major international Breaking events every year. There is also a powerful development programme at the national level in place, aimed at supporting competing b-boys and b-girls with coaching and training preparation. More than 10,000 athletes have already benefited from the programme. Argentinian athletes ready to shine at the YOG! Officially Ready For Buenos Aires! Let's Dance! In Tokyo 2020! | © 2017 WDSF | Design by JayKay-Design S.C.